This page will be all about custom maps made by users all over the net. Myself and versatile have played through each map on this page and will be giving our ratings and opinions of each map here. Look around, read our reviews and download whatever you like. If you need help installing these maps go to our page (How to install maps). This campaign is by far the most complete campaign out there right now. Diputs has done a great job on this map and it's in my opinion better than some valve maps. The ship level is very unique and fun to play, and the finale is also one of the best out there with a surprise rescue vehicle. I recommend this map for everyone out there, it's a blast to play. Pros: very complete campaign, lots of custom textures, ship map is very good, surprise finale. Cons: some nav problems with bots and spawning. 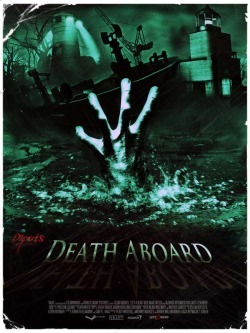 Click Here to download Death Aboard Now. If you want a very challenging and unique game I suggest trying this map with 3 friends with mics cause communication is critical. Be warned though if this is your first time playing you will die alot on this map. Powerstation features some very creative traps and puzzles as well as some very fun little twists. This map is very long the average playtime is about 3 hrs for a beginner. 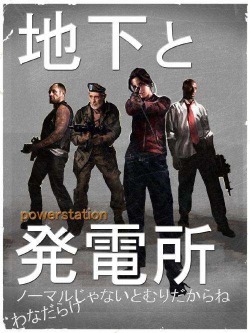 If your up for something new and challenging for L4D download Powerstaion now. Cons:you die alot, very long map, confusing at times,zombies spawn from thin air. Click Here to download Powerstation Now.